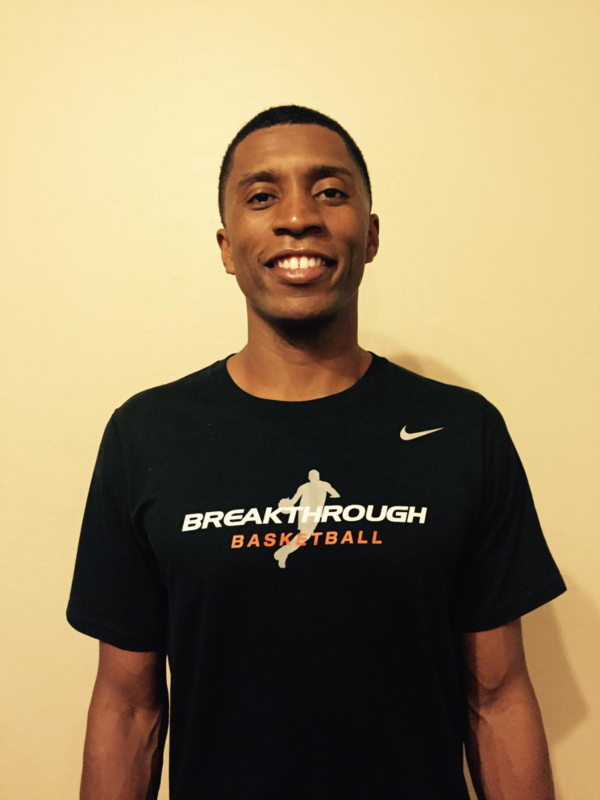 Breakthrough Basketball Shooting Camp in Santa Barbara, California! With this 3 day camp in Santa Barbara, California your shooting percentage will go up, your mechanics will improve, and your shooting range will increase! In addition to all of this, we will focus on confidence, mental toughness, hard work, smart work, and other intangibles to develop great shooters. How your stance could actually be causing your shot to go left and right and how to fix it. Why the parallel stance may not be the right fit for you. How your legs and not just your follow through can actually cause a flat shot. The proper release point and follow through. How inflexibility in your legs can affect your shot in a negative way. Learn the Steve Nash adjustment that allows players to shoot accurately from further distances. How to make your shot quicker. The mentality to making your shot quicker. The proper body position for every shot off of the catch. The proper footwork for different situations during the game. The proper hand position to create consistency and accuracy. How to pull up out of the fast break. The often ignored, but important progressions for the shot off of the dribble learned from legendary Hal Wissel who coached in the NBA. Learn how to properly pick up the basketball and how doing it the wrong way could be causing your shot to miss to the left and the right. Learn how the pace of the dribble can make your shot quicker. Learn how to properly execute the sweep and step through to create space from your defender. Learn the mentality needed to have a successful pull up jump shot and how the wrong mentality can be easily defended. You will learn the keys to a quick release used by the pros such as Kevin Durant and Stephen Curry. You will learn the Michael Jordan 1-2 step used to create space and hit the open jumper. You will learn the details required to be successful with these advanced moves. If you're not ready for the advanced moves yet, we have a system setup that will progress players at the proper rates. Why Should Your Child Attend Camps & Clinics? With many youth basketball teams, the trend over the past couple decades has been to play more games and do less skill work. While games are important, your child needs a healthy balance of game time and practice time. The problem with more games and less practice is that your child will touch the ball much less. With more touches, your child becomes a better basketball player. 32 x 5 = 160 total minutes for a team of 8 players. 160 minutes / 8 players = 20 minutes per player. 20 minutes per player / 2 = 10 minutes of time that your team is on offense. 10 minutes / 5 players = That means your child is only touching the ball for two minutes per game!! During our typical skill sessions, the player will have the ball in their hands 60 to 90 minutes. That means you have to play 30 to 45 games to touch the ball as much as a player would during one of our skill sessions. Also, during a typical game, you're lucky if your child gets 10 shots. During our skill sessions, they should get anywhere from 100 to 300 shots. Shouldn't My Child Get Plenty of Skill Work During Team Practices? Yes, they should be, but they are probably not. On top of getting limited gym time (typically 1 to 3 hours per week), most youth coaches will barely get enough time to teach team offense and team defense. As a result, very little time is spent on getting better at individual skills such as, ball handling, shooting, footwork, and other basketball skills. Now you probably see the importance of skill work outside of team practices and games. Coach Prileu Davis was a 4-year Varsity Letterman at Moon Valley High School, Phoenix 1996-2000. He was 2nd Team All-Conference as a freshman, 3x First Team All-Conference, 3x All-Defensive Team. Prileu was a 2x McDonald�s All-American Nominee. Prileu was recruited by and played for Coach Rick Pitino during the 2002 - 2004 teams at the the University of Louisville. Prileu was part of the 2003 Conference USA Championship team where they advanced to the 2nd round of the NCAA Tournament. Coach Davis assisted in several student athletes acquiring athletic scholarships at the Division I, Division II, Junior College and NAIA levels. He also assisted collegiate graduate athletes in attaining professional playing employment overseas and in the NBA G League. In 2017-2018 he was a Scout Team Player with the Phoenix Mercury. The camp is for boys and girls from 5th grade to 12th grade. Otherwise there is a $97 fee to attend as an "observing coach". You will get to learn new drills and techniques from Prileu Davis, just like all the players and other coaches in attendance. Visit this link to reserve your spot as an observing coach. If you have any questions, don't hesitate to email us or request a phone call.